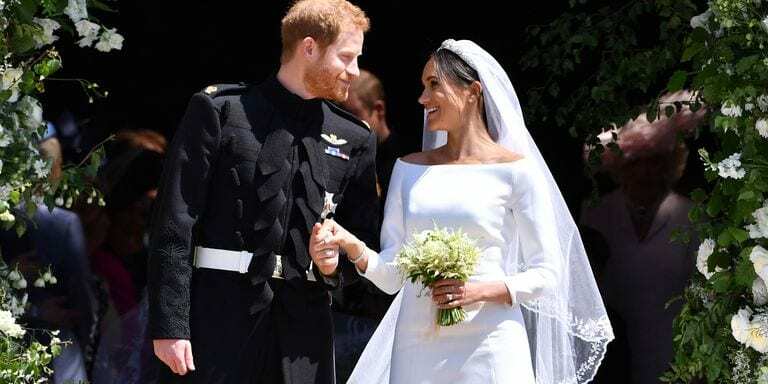 “Two people fell in love and we all showed up!” gushed Bishop Michael Curry as he addressed the diverse congregation in St George’s Chapel, Windsor for the wedding of Harry and Meghan who will now be known as the Duke and Duchess of Sussex. I hadn’t intended to watch the wedding. The drama, soap opera and fuelled speculation by the media was a total turn off and as a former Royal Correspondent I’m not that impressed by Team Windsor or the slick PR machinery involved in keeping it going. So as a bit of a republican I was rather relieved when my work took me overseas to Canada but as the time difference failed to kick in I found myself in the wide awake club during the wee hours of Saturday just after I’d broken my Ramadan fast. I switched on the TV and flicked through the satellite channels stopping momentarily to watch a live viewing of the royal nuptials. I was completely ambushed by my own curiosity and totally spellbound by the fantastic head of the US Episcopal Church. Waving his arms like a windmill and roaring like lion on crack he demolished in minutes centuries of Church of England stiffness and made our own man, Justin Portal Welby the 105th Archbishop of Canterbury and the most senior bishop in the Church of England, look more like a novice curate. Warming to his sermon on the power of love, he even began quoting the Rev. Martin Luther King Jr. and then he paraphrased the Catholic Jesuit theologian Pierre Teilhard de Chardin. All of this in front of the senior British royals. That was it for me, I was glued to the box and was reeled in hook, line and sinker. The cutaways on TV was delicious. I half expected the Duke of Edinburgh to start making asides but his face was a picture. It’s not often you see the foot-in-mouth duke stuck for the odd word but he sat there, along with other royals, like a rabbit startled in the headlights. The Queen’s expression was priceless. She sat bolt upright at one stage as his table-thumping sermon reached a crescendo! I thought some of her grandchildren (the Duchess of Cambridge for instance) were going to have to cram their knuckles in their mouth to control their urge to roar with laughter. Not everyone got Bishop Curry, but I did and so did the other Queen … Oprah Winfrey. The bishop made the most of his time in the pulpit and he smashed it. Reading from his iPad he over ran by at least three minutes and finally rounded off by saying: “and with this I’ll sit down, we got to get y’all married.” It was a stand out moment and with all those celebrities and A-list royals gathered under one roof who thought the bride’s limelight would be stolen in part by the Chicago-born cleric.